The Cellar at Castle Falls features intimate casual dining with 9 tables with seating limited to 6 years of age and older. The Primrose and The Library at Castle Falls (stair navigation required) features a five course dining experience and seating is limited to 12 years of age or older; both opened Thursday, Friday and Saturday evening by reservation and any day with prearrangement. Castle Falls features Euro-American cuisine. Though many still fondly remember the Keller in the Kastle from the 90’s, German cuisine is no longer served. The Primrose was named number one on the 15 Best-Fancy Restaurants in America List. Private and semi-private dining is available. A facility fee or food minimum requests may apply for private dining. For information on large group reservations please click here. Conveniently situated on five landscaped acres near the heart of downtown (7 miles from the airport), Castle Falls offers an unparalleled feel of both old-world charm and intimacy. Towering trees, wedding folly, ivy-covered pergola, waterfall, patio area, exterior castle views and event hall allow limitless options for your wedding photography. Do you want the perfect venue for your private dinner? Make a reservation for a your celebration, anniversary, proposal, small group event, or whatever you have planned. Follow the link below to learn more. Castle Falls features a chef inspired menu with many options for wedding receptions. 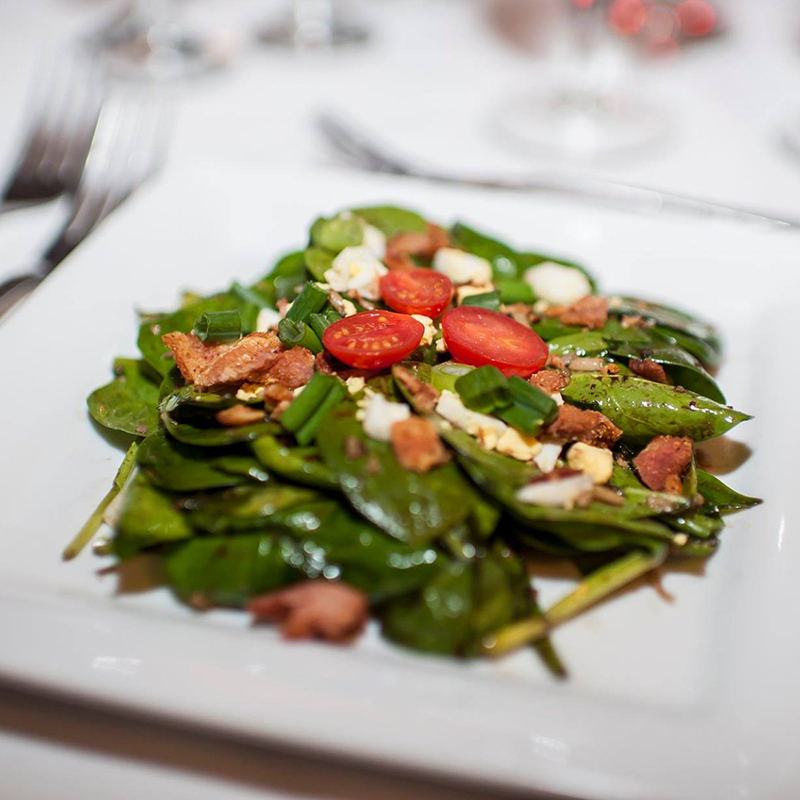 View our menu options to find the perfect choice for your event or venue. Experience the historic charm of Castle Falls yourself. "Had our 3rd Anniversary here. Absolutely 5 stars all the way. The atmosphere was charming and romantic. The food was fantastic and wonderful with an interesting combination of flavors. Can't wait to go back again." "We went there for a nice dinner and got so much more than we expected. It was incredibly beautiful and the atmosphere was so warm! We both had a delicious meal that we felt didn't compare to anything else. Our server, Van, was incredible. She was attentive, very professional, and she took her time to explain things to us. I will definitely be back on my next visit to the City." "This place is absolutely amazing! The owners are wonderful people. The food is phenomenal, but nothing compares to the atmosphere. Romance is alive at Castle Falls!"